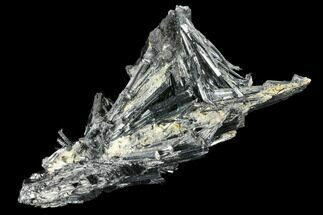 Stibnite is a lead-gray mineral, usually occurring as striated prismatic crystals, that are made up of antimony sulfide and is the main ore of antimony. 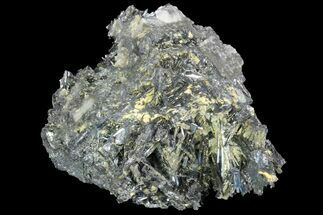 It often forms groups of long, shiny metallic crystals radiating out at different angles, which look like something out of a sci-fi movie. 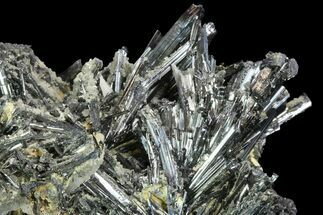 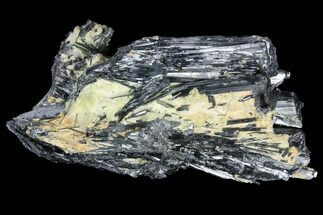 Stibnite (antimony) can be harmful if inhaled or swallowed, so while a crystal sitting on your shelf doesn't pose any real health risk, please don't lick the stibnites.